Iron Butterfly needs no introduction to fans of classic rock. The legendary psychedelic rock group’s 17-minute-long 1968 hit song, “In-A-Gadda-Da-Vita,” helped propel the album of the same name to multi-platinum status. To date, the album has sold more than 25 million copies and is ranked the 31st best-selling record in the world. 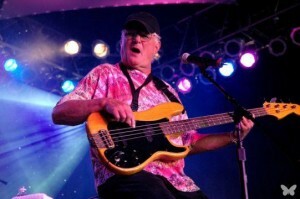 Formed in 1966 in San Diego, the band today features early members Ron Bushy on drums and Lee Dorman on bass guitar. Last October, Rhino Records released a 22-song live album of the band’s 1968 concert at the Fillmore East. The current incarnation of Iron Butterfly, has been on tour this year in Europe and the United States, is headlining a concert Saturday, May 12, at ShoWare Center in Kent. Doors open at 6:30 p.m., and music begins at 7:30 p.m. 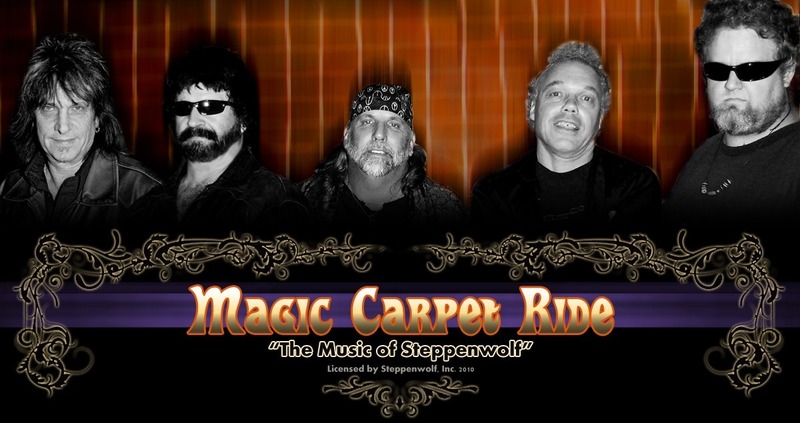 Sharing the classic-rock bill are Magic Carpet Ride (an eight-member band inspired and licensed by Steppenwolf) and The Xperience, a Jimi Hendrix tribute featuring RG Valentino, who has done guitar arrangements for Lenny Kravitz, Quincy Jones, Prince and George Clinton, among others. The show celebrates the heyday of psychedelic rock. Glen Bui, guitarist for Magic Carpet Ride, performed with several members of Steppenwolf before the band’s breakup in 1976 and has backed such artists as Waylon Jennings, Roger Fisher (Heart), Tower of Power and Eddie Money. He’s also co-founder of Pegasus, which recorded for Epic Records. Talk about a night of classic American rock. With a light show created by Northwest Laser Light Show, this concert promises to be a colorful nostalgia trip for concertgoers of all ages. And ShoWare Center will be divided in half, allowing for a more intimate experience for concertgoers. Tickets can be purchased at the ShoWare box office, 625 W. James St., Kent; online at ShoWareCenter.com, or by phone at 866-973-9613. Read more about Iron Butterfly on the band’s official website. Learn more about Magic Carpet Ride here. And visit The Xperience’s Facebook page here. The current Iron Butterfly does bring up the problem with touring “classic rock” acts, that being are you seeing (and listening to) the heart of the band, or the trademark? I realise that Ron Bushy is the original drummer, but the sound of the band was set by Doug Ingle’s vocals and keyboard playing, and Martin Gerschwhiz is no Doug Ingle. The change may not be really noticable in “In-A-Gadda-Da-Vida”, but when they hit their back catalogue (I’d expect them to play “Unconscious Power” and “Soul Experience” at minimum) where the vocals make the song, Ingle’s absence will be felt. To me, this is a big problem. Guess Who without Burton Cummings? Lovin’ Spoonful without John Sebastian? Four Tops without Levi Stubbs….I know there’s this death thing….? All these bands tour, usually on the casino circuit, but for them to present themselves as THE fill in the blank instead of THE trademarked name of fill in the blank approaches fraud. Some bands can pull it off, Stix comes to mind, but many groups are as much cover bands nowadays as they are the “real” thing, and Iron Butterfly is one of them. End of rant.